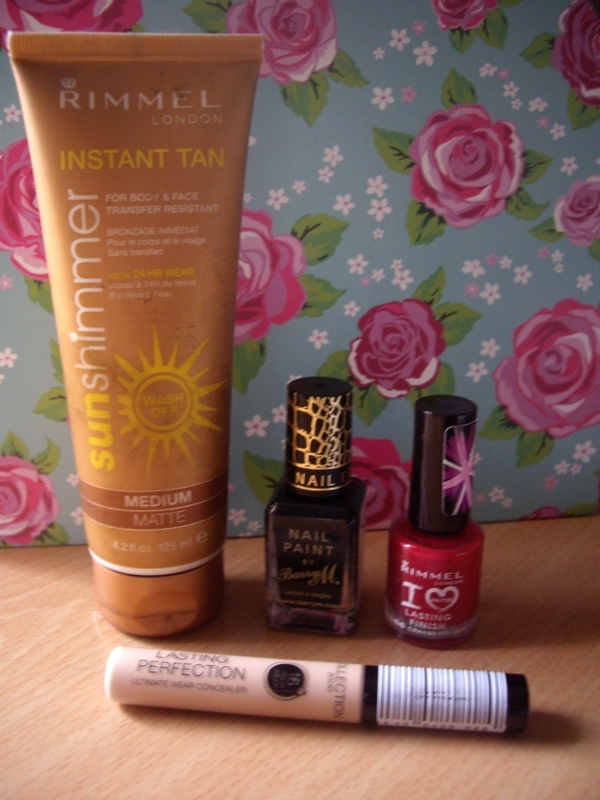 I recently ran out of a couple of items I use on a constant basis, and nipped into Superdrug to replace them. As I’m terrible at only walking out of the shop with the one thing I went in for, I passed a couple of the makeup counters and picked up some things I thought I’d try. 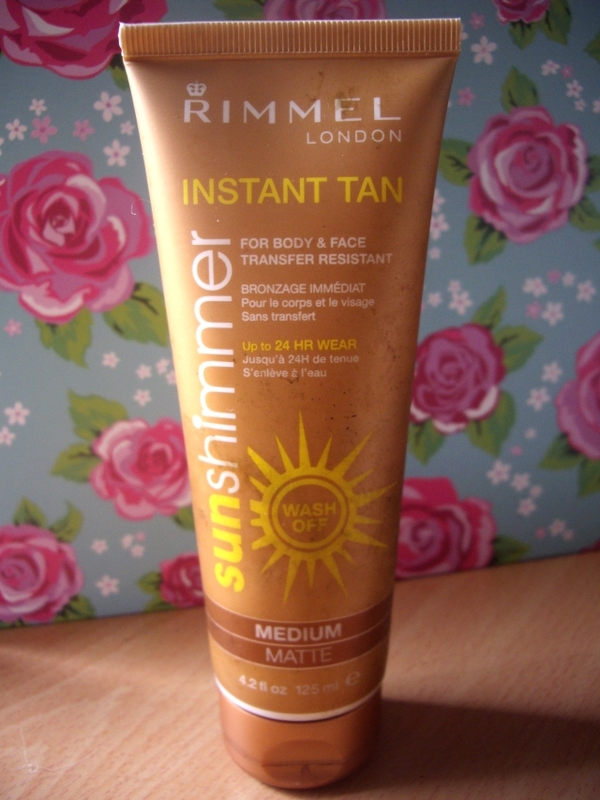 A heavy user of fake tan, I picked up Rimmel London’s Instant Tan in Medium Matte. This product is something I’ve been using for a few years, and having tried out other alternatives I’ve always preferred this one. When I haven’t been bothered to put on a gradual tanner I find it so simple and easy to pop this on before I go out with no fuss of waiting for the colour to develop, and no awful ‘biscuity’ smell that comes with a gradual tanner! The only downside to it is as soon as my skin gets wet, it comes off. Not the best thing to have when it’s raining, but definitely worthwhile when you’re in a rush. 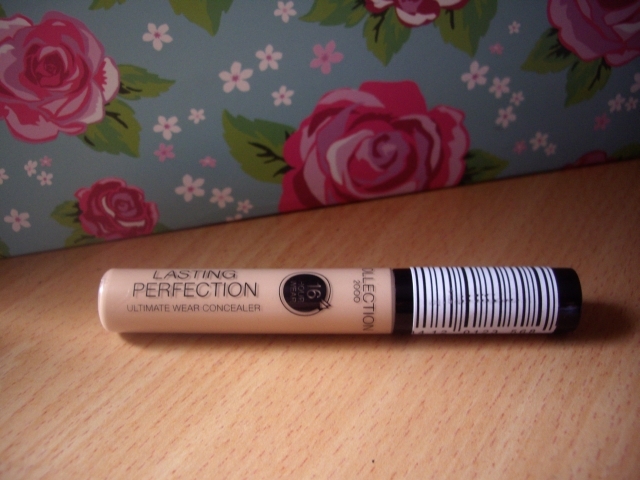 After running out of concealer, and then managing to lose what little I had left, my other necessary spend was Collection 2000’s Lasting Perfection Concealer in Light. After spending many years trying to cover up spots and undereye circles during my teens, I have used several different concealers, from ‘drugstore’ brands ie. Boots, Superdrug to high end brands. None of which have worked as well and at such a good price as Collection 2000’s. On its package, it claims to last for up to 16 hours. I don’t know if I agree with this, but I can say it covers up spots very well without having to top up through the day, and I don’t look so haggered in the mornings as my undereye bags look less grey and dull. You may have the bad luck of picking up a tube that could leak, which is something to look out for when you’re buying it. Make sure the cap is on properly and there is no excess concealer spilling out. My ‘unnecessary’ spends happened to be nail varnishes. As a girl who has terrible fingernails with a nail biting habit, I’ve never had the most ladylike hands. But I still like to make the most of them, as it means every time I make my nails chip, I get to put a new colour on! 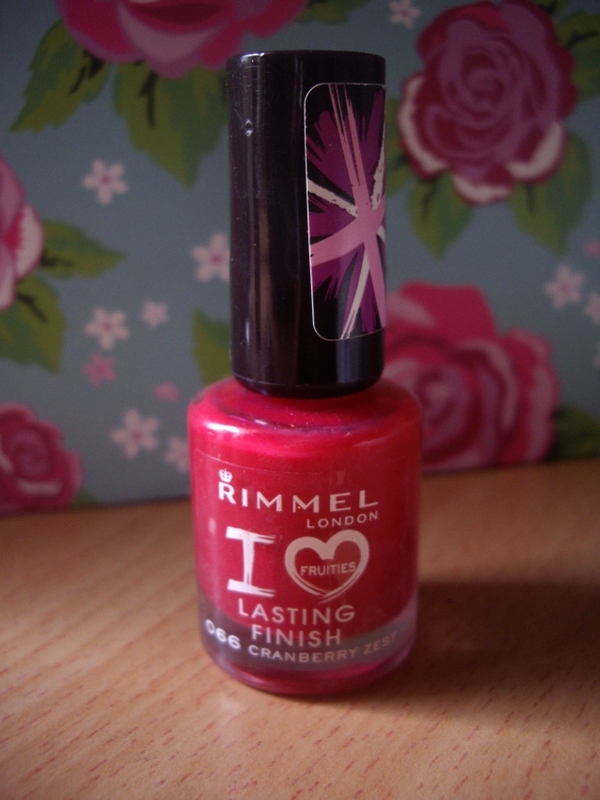 The first varnish I picked up was Rimmel London’s I Love Lasting Finish Fruities in Cranberry Zest. I’ve always liked Rimmel London’s nail varnishes, because they have such a wide range of colours and are so easy to apply. But unfortunately, this one disappointed me. 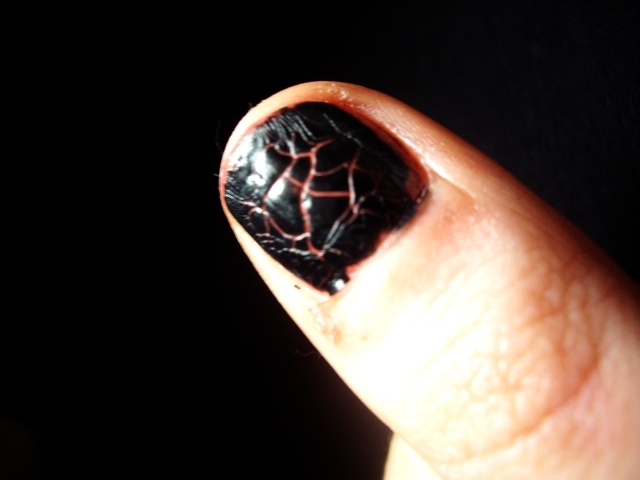 From the bottle, the colour looks like the perfect cranberry colour; a hot pink with blue-red tones. When i applied a couple of coats, it looked more like a blue-red. I do love red nail varnish, but when I already have one I really don’t need another. As for the fruity smell, it wasn’t something I picked up on. I already have Apricot Punch, which I could smell slightly as it masked the strong smell of the varnish. But over the two, the colour was what I was more disappointed with. 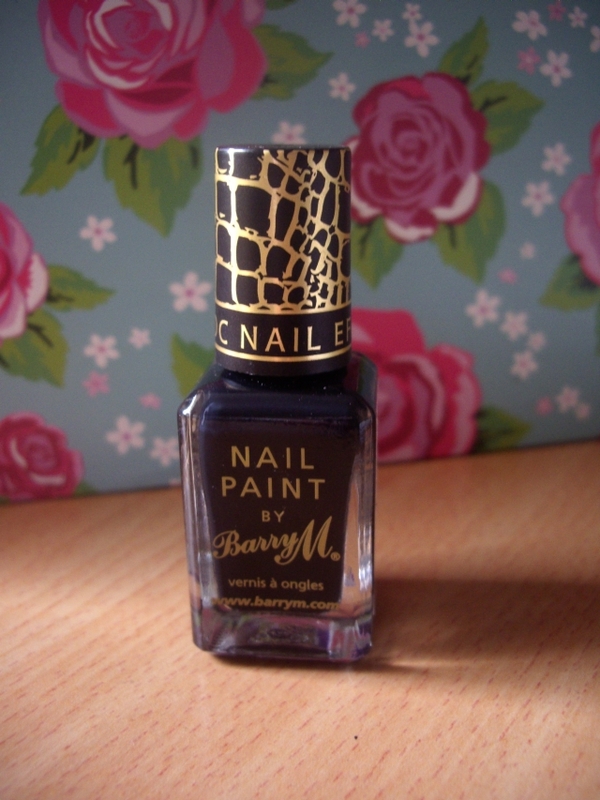 The second nail varnish I bought was Barry M’s Nail Paint in Croc Effects.I’ve tried the Nail Effects varnishes before by Barry M, which are pretty cool to look at as they dry. I’ve always preferred them to create look of a croc effect, and when i saw they had brought one out I had to try it. From my own experience, it takes a couple of goes for it to work how you want it. I’ve inserted a picture below of how it came out the first time. I’m glad I bought this one.